feature. 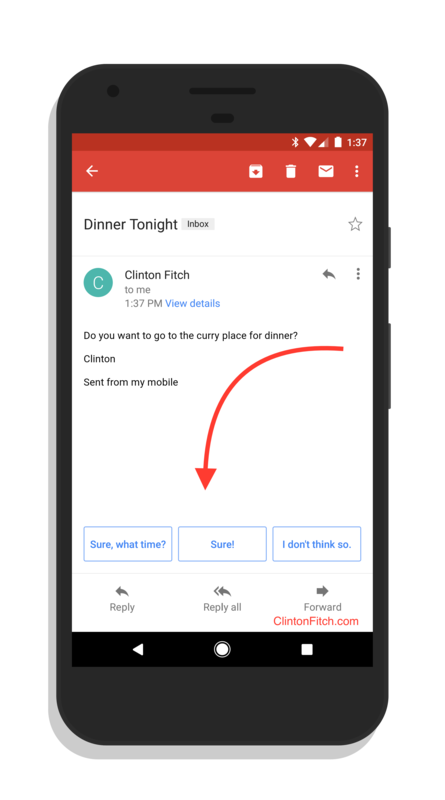 It is stunningly good at figuring out the content of an email and giving you appropriate Smart Reply options. The replies can be edited too. You can tap one of the replies to start your formal reply to the email but can add additional text to clarify, etc. To make sure you get the feature, assure that you have the latest version of the Gmail app on your phone or tablet. The actual enablement of the feature is a server-side change so it may be another few days before everyone sees it. But it is widely rolling out so if you are still waiting, it shouldn’t be much longer.